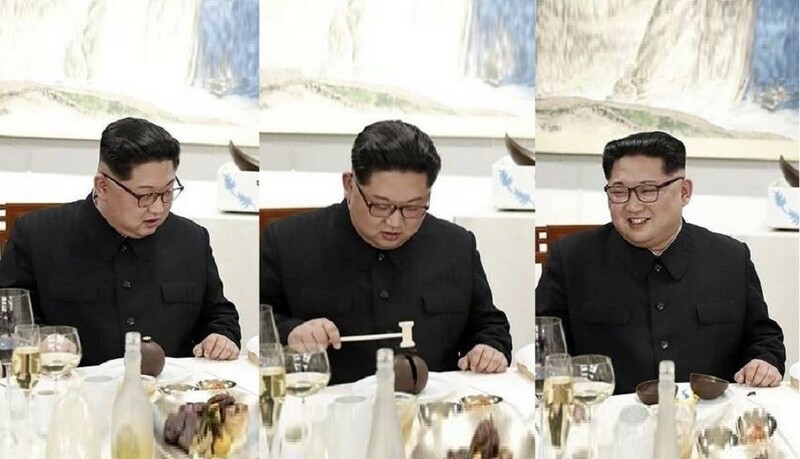 Are K-netizens saying Kim Jong Un looks "cute" while eating dessert? On April 28 (KST), a historic summit between North Korea and South Korea took place in Seoul. During the welcome lunch, the two leaders and their respective aids and family members sat down together, trying out different types of dishes that are considered popular in either side of the peninsula. But when the dessert arrived, North Korea's leader Kim Jong Un was caught on camera, displaying a confused look on his face toward the dish! 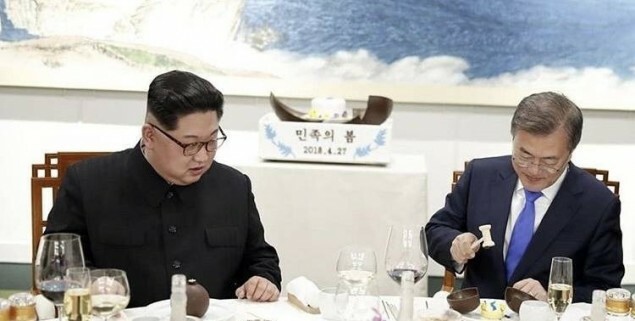 The dessert was a chocolate ball which must be cracked open with a small hammer, and Kim Jong Un seemed bewildered at first since it was his first experience with the dessert. 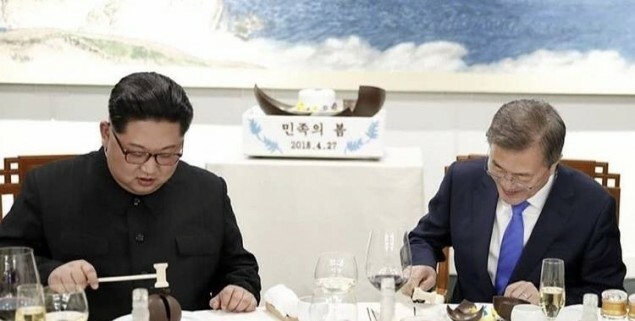 After this brief moment, Kim Jong Un was seen looking over at the South Korean president Moon Jae In, who had already opened up the chocolate with his hammer. 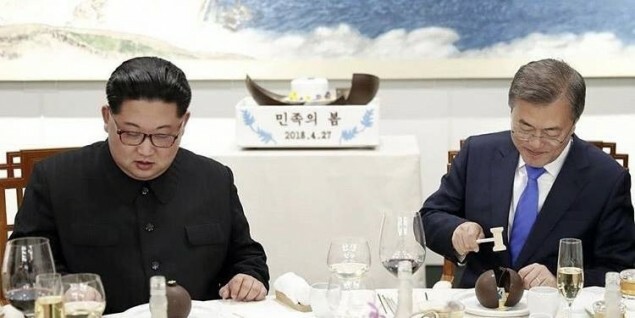 Then you can see that Kim Jong Un's eyes were back on the dish, this time correctly opening the dessert to find another smaller dessert inside! 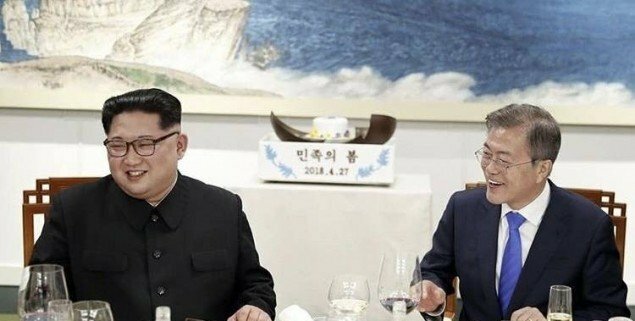 Both Moon Jae In and Kim Jong Un are caught smiling in the photos, a sign that the dessert had perhaps created another intimate moment between the two! With these photos spreading quickly online, many K-netizens expressed joy and amusement toward the scene. Some top comments include: "???? ?Kim Jong Un is so cute!???" "OMG, why is this so cute??" "I can't believe I am saying this but Kim Jong Un looks so adorable in those photos" "Something about that moment is nice and warm." What do you think of the moment between the two, and the reactions of the K-netizens? Share your comments down below!